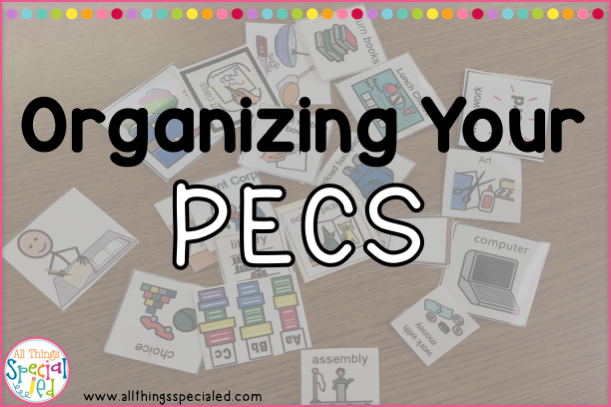 Organizing Your Pecs - All Things Special Ed. 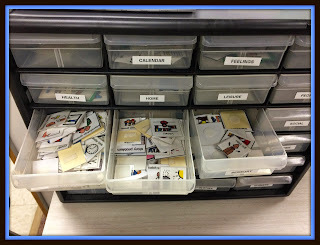 I have gone round and round on how to organize all my Boardmaker pics! 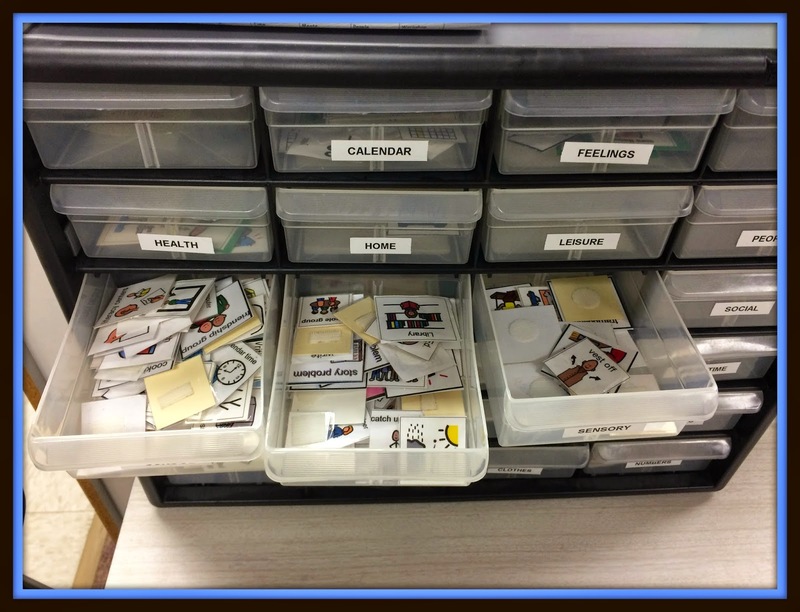 Well after hunting around on Pinterest and other Blogs I decided to organize mine using a bin with many drawer. 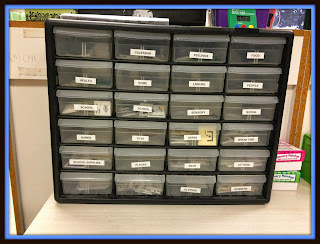 (Visit a Home Depot like store for a large drawer small parts bin) I found mine for $10 at a thrift store. Love Goodwill and St. Vinnies for my cheap office supply steals! 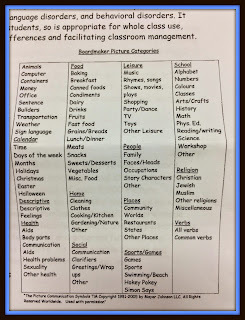 Then came the hard part- how do I categorize my pictures? I already knew that most of my pictures were school related but not all. Well I found this handy guide that outlined the categories of the Boardmaker pictures. So I started there. 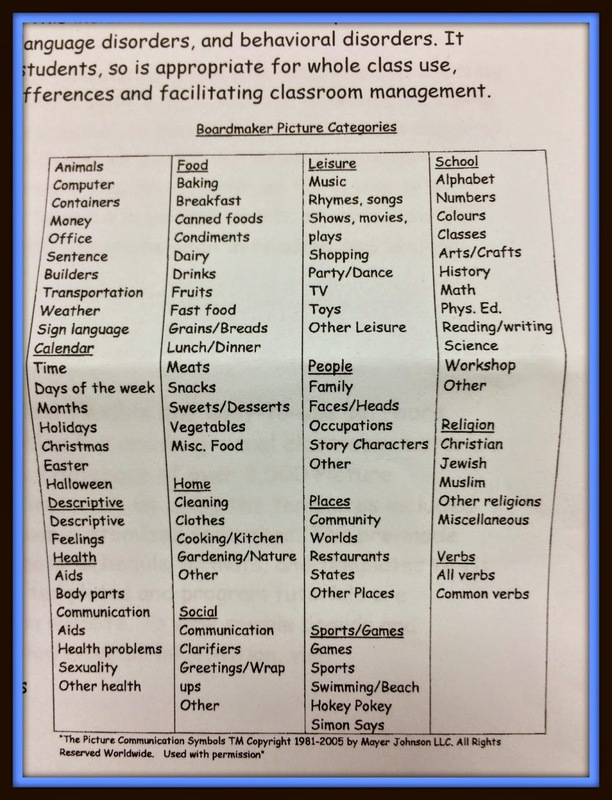 Then added a few categories that I needed while sorting. 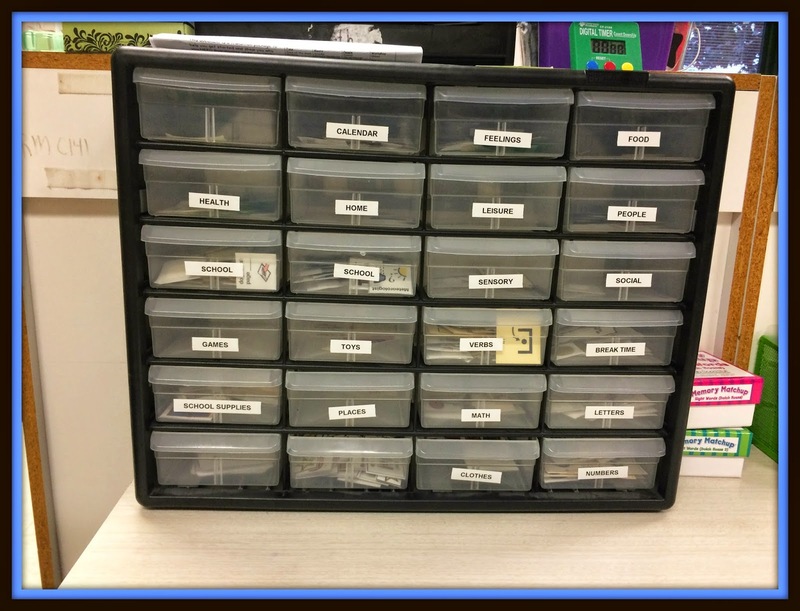 After I had my bins all organized, I used my label maker to make it look "nice" and all is set to go when we are looking for a picture! Have a wonderful week! We have 22 more school days left- happy face!